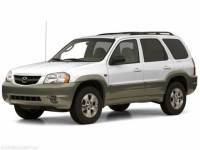 ...Description of this 2001 Mazda Tribute LX-V6 Contact Chelsea's Auto Sales for more information. 2001 Mazda Tribute DX, 4x4 One Owner! !